Anti-spasticity drug baclofen has more recently been used to treat alcohol addiction. A MEDICATION THAT had been hailed as “a wonder drug” to treat alcoholism has been found by a new study to less effective than had previously been hoped. Baclofen has been used since the 1970s primarily as an anti-spasticity treatment but more recently it has been used as a treatment for alcohol use disorders. The drug has the advantage compared to others that it is excreted largely through the kidneys and can therefore be used by to people suffering alcohol-related liver disease who often can’t tolerate other drugs. Following successful alcohol addiction treatment trials sales of the drug soared and it was claimed by some to be capable of “curing alcoholism”. Studies found that its success was put down to a number of different results, such as reducing craving for alcohol and reducing negative mood states, a risk factors for harmful drinking. But a new study conducted at the University of Liverpool and has cautioned that such conclusions may be premature and that its use for alcohol addiction may not be as effective. The study looked at 12 previous trials conducted to measure the effectiveness of baclofen in treating alcohol abuse against a placebo. The study found that baclofen performed better than the placebo in keeping people abstinent from alcohol but that it was far from universally effective. The research found that, on average, eight individuals would need to be treated with baclofen for just one of them to remain abstinent due to the medication. But for all of the others, baclofen did not increase abstinent days or decrease the number of heavy drinking days during treatment, neither did it reduce rates of alcohol craving, anxiety or depression. “Our research highlights several issues with the existing body of trials. Many of the studies only recruited a limited number of patients, so maybe too small to find an effect,” said researcher Dr Abi Rose. The existing trials also differ on a number of factors, such as the dose of baclofen given and the length of treatment. The full results of the study were published in academic journal Addiction. 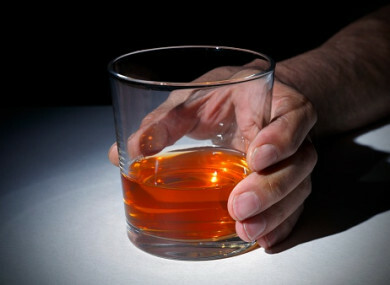 Email “A 'wonder drug' used to treat alcoholism may not be as effective as previously thought”. Feedback on “A 'wonder drug' used to treat alcoholism may not be as effective as previously thought”.